The US State Department has asked Bangladesh to buy arms from their country. 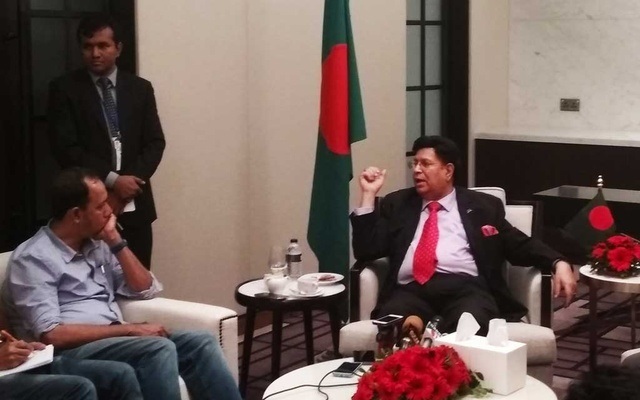 Reports quoted the Bangladesh foreign minister AK Abdul Momen as saying that on his recent visit to Washington, the US State Department officials asked him to buy defence products from the country. He also stated that he had a meeting with his US counterpart Mike Pompeo and other officials of the US State Department. US State Department officials questioned the Bangladesh foreign minister as to why his country buys defence products from other countries and not from the US. Momen said that the price of US arms were “way too steep” and “we will buy it if you are affordable”. “If you don’t do that and offer a special price then definitely we will buy them. We do not have any problem in buying arms from the US,” he told the State Department official. Momen informed that during his US visit, he discussed a lot of issues including trade and investment. The Bangladesh foreign minister further informed that the US entrepreneurs were “interested in investing in Bangladesh’s energy sector”. In this regard, Momen stated, the American multinational conglomerate General Electric will visit Bangladesh shortly with a “huge investment offer”. The foreign minister added that he told the US officials that Bangladesh always encourages the “diversity of investment and trade”. Momen said that he encouraged the US officials to come and develop infrastructure through their Indo-Pacific strategy in Bangladesh as it will be beneficial for both the countries. “I told Pompeo to come and avail the opportunities as Bangladesh’s economy is all about to take off or you will miss the bus,” remarked the foreign minister who was on his maiden visit to the US after taking on the mantle of foreign minister.